“My name is Sarah Day and I am the founder of The Ark Centre. Below you can read about the journey myself, my partner Nick, and our children Noah and Isabella have undertaken during the years that led us to opening The Ark Centre. I am personally very happy to talk to any parent who is thinking of The Ark Centre as an option for their child, or who just wants to talk to another parent in a similar situation. “When our son Noah was born, we were over the moon. He seemed a contented little boy, but it wasn’t until he started nursery that we realised he wasn’t integrating well with other children and was happier to be on his own, playing with repetitive, spinning, noisy, flashing toys. We, as all parents do, blamed ourselves and started panicking when he wouldn’t talk or walk. At 14 months we suspected autism, but when Noah was seen by our doctor, his symptoms were dismissed as him being a ‘typical boy’ who was ‘lazy’ and a ‘late starter’. After so many months of battling, by two years old, Noah was formally diagnosed with autism and we were devastated not knowing what to do to help him. We were put on a waiting list for a course and while we found there was not much support available, we realised we needed to ‘pull ourselves together’ to communicate with Noah and get the help we all needed. The next two years felt like a roller-coaster… we sold some possessions and gave up our second car to fund a private clinic and tests that we hoped would finally give us the answers we needed for how to help treat Noah’s autism. We searched far and wide for more information, trying oxygen chamber therapy and attending courses on brain development, determined not to let our son down. Eventually we found qualified people who could come to our home to work one-to-one with Noah. During this time, our daughter Isabella was born and in the years that followed, our worst fears were realised when she was also diagnosed with autism. Despite our setbacks, we were so impressed with the therapists we found that visited our home to run the children’s programmes, and during the 3 years of therapy, it became clear that no one particular intervention could address all the difficulties my children had. Following some research, we discovered information about Behaviour Therapy – specifically, ABA – on the internet. Our therapists responded so effectively to the specific needs of our children, working with Noah and Isabella’s strong personalities through a combination of ABA, SLT and OT. This multidisciplinary approach made such a positive difference to their development, ability to express themselves and the way they could interact with their community. On our journey, we had met and heard from many other parents of children who had been given a similar diagnosis and that, like us, could not find the help they needed. While the search for help had left us exhausted emotionally and financially, we were determined to use our experience to help other families. We wanted to give others the opportunities we had had, less the stress – and the high cost – of a home-based programme. So, when the opportunity arose to set up an intervention centre, we knew we had to grab it with both hands! 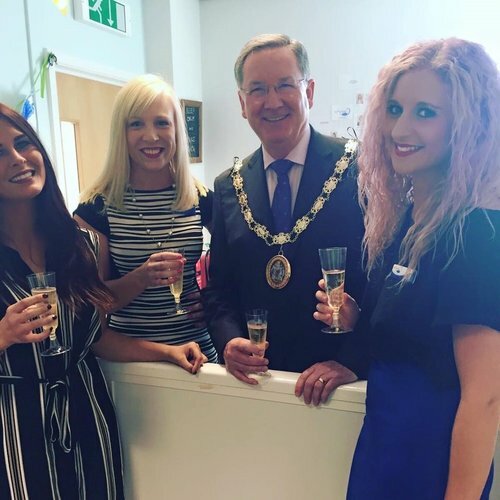 In June 2015, with a lot of work and the input of the four behaviour therapists who had helped Noah and Isabella, we first opened the doors to The Ark Centre. You may have already guessed by this point, but we chose the name ‘Ark’ as a reference to our Noah, the original inspiration for the whole project! We have continued to learn so much since then and are glad we can use that knowledge and experience to provide treatment and support to families going through a similar journey to us. 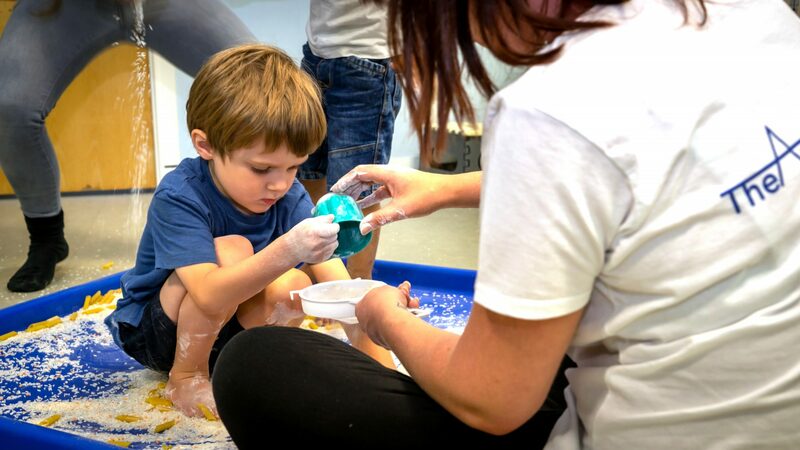 One of the main points of our own learning was the many different styles of delivering ABA there are – something we knew nothing about at the beginning of our journey – and how combining treatments in the right way can make such a positive and meaningful difference to a child’s progress. This is one of the reasons we are so passionate about The Ark Centre. 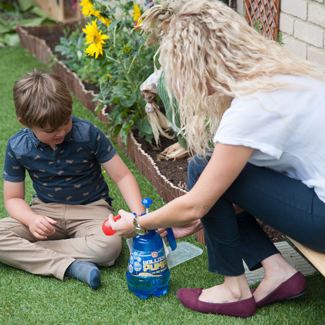 Our multidisciplinary approach, in a social environment where children can learn functional skills in the context of supported play, continues to be so effective and rewarding for the children that join us. The Ark Centre is going strong; we receive applications from all over Essex and have had families from abroad move nearby to attend. The blueprint for the centre has even been replicated by a parent group in York and is following a similar model, which is something we are immensely proud of. At present, however, The Ark Centre can only accommodate eight children at any one time, with at least double that on our waiting list. As we look to the future, our aim is to maximise our fundraising enabling the centre to move to larger premises. In particular we hope to find a location where we can increase our currently very limited outside space to provide a better outside play area. 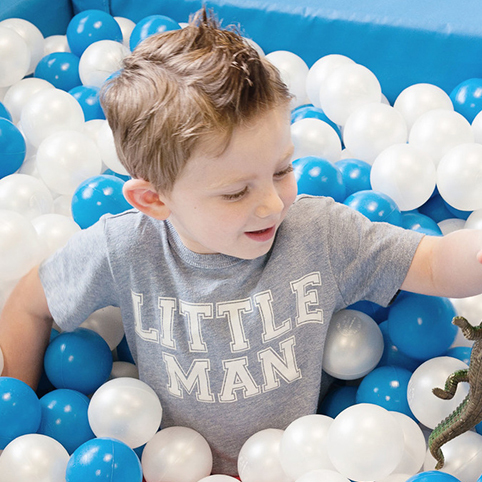 Larger premises will allow us to accommodate more children and reduce our waiting list; expanding the centre’s capabilities and to host more outreach and training sessions for families of any children waiting to join us at the centre. If you would like to become a part of our story by making a donation to The Ark Centre, please visit out Donations page. All donations are very much appreciated.